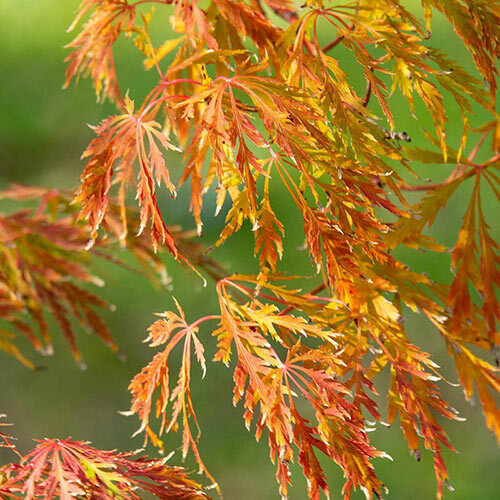 Foliage Typefinely cut leaves unfurl blushed orange-red, quickly maturing to green.In late fall foliage turns multiple shades of yellow, orange & red. 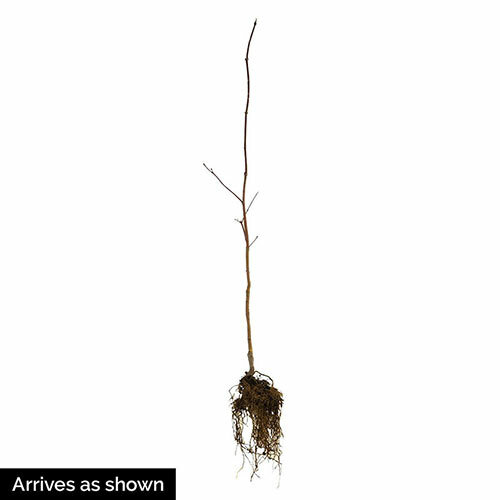 Soil RequirementWell-drained soil moist, organically rich, slightly acidic. Additional InformationMember of the Jack Frost® series. 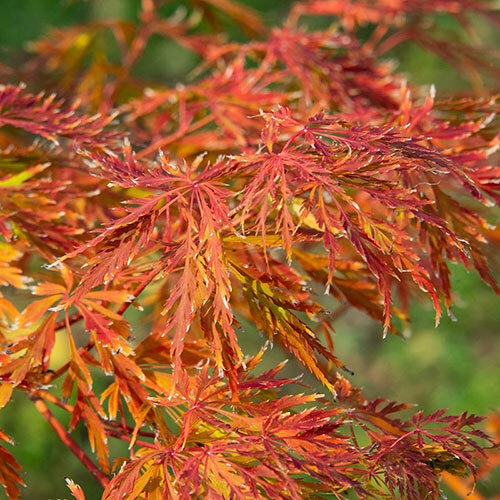 Bred and selected to tolerate Zone 4 winters, while retaining the refined qualities of the less hardy Japanese maples. Unique CharactersticsCascading form Undulating branch structure provides visual treat after leaf drop.